Nokia's hardware innovations being undermined? Nokia has expressed frustration with Microsoft's failure to give smartphone users a convincing reason to switch to Windows Phone, in comments representing the first public signs of strain in the pair's relationship. The Finnish company's vice president Bryan Biniak said Microsoft has not held up its end of the bargain because essential, frontline apps are still missing from the Windows Phone store. In an interview with the IBTimes, Biniak said smartphone users are unwilling to compromise their mobile lives by switching to the platform, regardless of how impressive recent hardware releases have been. He said Nokia is trying to 'change the culture' at Microsoft' in order to stress that the battle to overhaul iOS and Android cannot wait any longer. He said: "To give you a reason to switch, I need to make sure the apps that you care about on your device are not only on our phones, but are better. I also need to provide you unique experiences that you can't get on your other devices." "People rely on applications for their day-to-day life and if you don't have something which I use in my day-to-day life I'm not going to switch [operating systems] because I don't want to compromise the way I live my life just to switch to a phone. 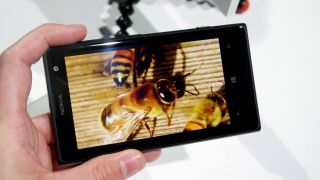 Nokia's recent launches have included the impressive Lumia 925 and the soon to be released 41-megapixel Lumia 1020 cameraphone. Biniak added: "We are releasing new devices frequently and for every new device, if there is an app that somebody cares about that's not there that's a missed opportunity of a sale. Although the app gulf between Windows Phone and iOS and Android isn't as large as it was, Microsoft's platform is still missing apps like Instagram, a Facebook app worthy of the name, and of course, Google's impressive suite. Nokia has attempted to take matters into its own hands, campaigning for the launch of Instagram on Windows Phone, while also securing an exclusive deal to bring FIFA '13 to Lumia Phones. On that note, Biniak saved his most scathing comment until last. He said: "As a company we don't want to rely on somebody else and sit and wait for them to get it right." Will Biniak's comments jar Microsoft into caring as much about Windows Phone as it does about Windows 8 and Xbox? Let us know your thoughts in the comments section below. The Lumia 1020 is the phone that will save Nokia, according to our own Gareth Beavis. Find out why he thinks the Finns are firmly on the comeback trail.